The aim of this study was to determine the impact of repeated first trimester mifepristone-induced medical abortions on the risk of preterm birth in a subsequent pregnancy. This is a pregnancy-based cohort study. Clinical data were collected from seven public hospitals in Chengdu, China from January 2006 to December 2009. 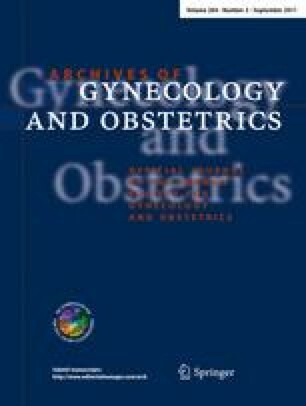 Pregnant women with one or more first trimester mifepristone-induced medical abortions, and/or one or more surgical abortions, or no previous induced abortions were included in the study. The women were monitored through pregnancy and birth. Samples for analysis included 18,024 singleton births. The risk of preterm birth among women with one or more first trimester mifepristone-induced abortions did not differ significantly from the risk among primigravida women (OR 1.03, 95% confidence interval 0.53–1.63). The risks of preterm birth were higher among women with repeated surgical abortions in comparison to women with repeated medical abortions (OR 1.22, 95% confidence interval 1.03–1.64). A history of multiple first trimester mifepristone-induced abortions is not associated with a higher risk of preterm delivery among singleton births in the first subsequent pregnancy. We gratefully acknowledge the help from West China Second University Hospital, Sichuan provincial hospital for women and children, Chenghua and Longquanyi maternity and infant health institutes, and Chengdu No. 1 and No. 9 general hospitals. We also gratefully acknowledge all the research team members contributed to this study. The authors have no conflicts of interest. There is no financial relationship with the organization that sponsored the research. We have had full control of all primary data and that we agree to allow the journal to review our data if requested.